Susanna Victoria Reid is an English journalist and presenter best known for Good Morning Britain since 2014 where she is co-presenter Piers Morgan’s foil. She was previously a co-presenter of BBC Breakfast from 2003 until 2014, with Bill Turnbull. Susanna Reid was born in Croydon, south London on December 10, 1970. She attended the independent Croham Hurst School, from 1975 to 1981, followed by the independent Croydon High School (1981–87) and St Paul’s Girls’ School (1987–89) in London. Her parents separated and divorced when she was 9 years old. Her father was a management consultant, her mother, who was born in 1941, worked as a nurse. She studied Politics, Philosophy and Law at the University of Bristol where she was editor of the student newspaper Epigram which was short-listed in 1991 as “Best Student Newspaper” in The Guardian/NUS student journalism awards. She then undertook a Postgraduate Diploma in Broadcast Journalism at the Cardiff School of Journalism. Is Susanna Reid into football? Yes, Susanna Reid is a supporter of Crystal Palace, visiting the club’s Selhurst Park ground with her dance partner while taking part in Strictly Come Dancing, in 2013. Piers Morgan even gave her a team shirt with her name on the back for her birthday in 2015. How much does Susanna Reid get paid? Where does Susanna Reid shop? Susanna Reid s often complimented and known for her dresses and frocks that she wears while presenting GMB. Reid also has a penchant for high street labels and her stylish numbers are actually affordable, with brands such as Warehouse, Hobbs and Dorothy Perkins regularly gracing the screen. As of 2018, Susanna Reid is not pregnant. However, in May 2018, she set tongues wagging with her choice of dress, with the presenter jokingly denying that she was expecting on Good Morning Britain as a result of her outfit choice for an episode of the morning magazine programme. Susanna, who wore a blue and white dress that featured a fabric twist, found herself at the centre of a fashion debate. 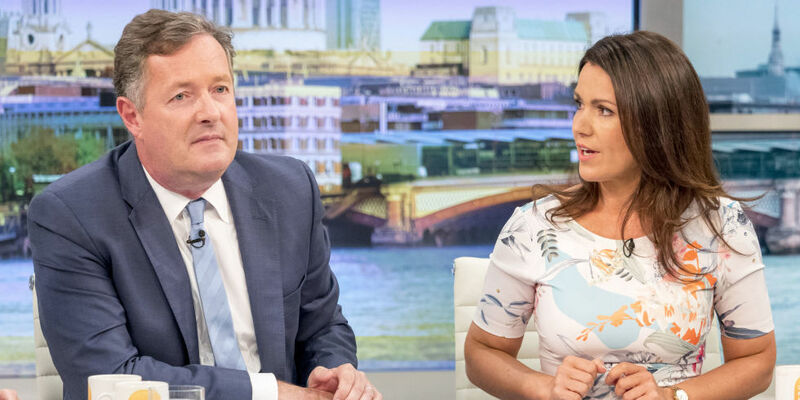 Responding to comments from one viewer who suggested that Susanna’s outfit looked like a maternity dress, the TV star stood up and ran her hand over her stomach and jokingly agreed with the opinion. In December 2013, Susanna was a runner-up in the eleventh series of Strictly Come Dancing with partner Kevin Clifton. She lost out on taking the glitterball trophy to model Abbey Clancy. She previously participated in the Children in Need special of the show, pairing with Robin Windsor and eventually winning it in November 2011. 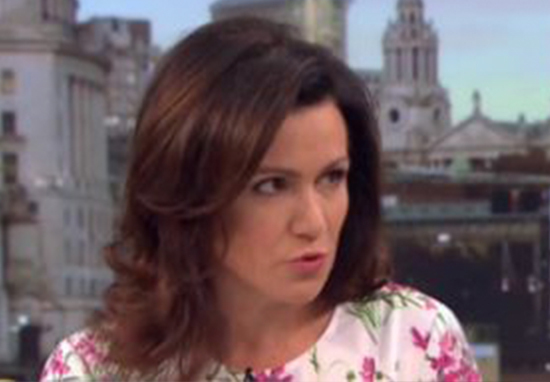 Has Susanna Reid met Tyson Fury?